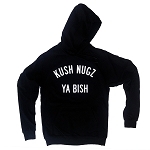 Love my Kush Nugz Zip up!! This hoodie is awesome! It`s super comfy but still cute. Love Kush Nugz!! !